Some days you need something delicious in a hurry. Preferably something warm, if it’s February and you live in Seattle. Preferably soup. In fact, hopefully you have some of this soup stashed in your freezer. If you don’t now, you will soon. This is the kind of soup that can turn you from a recipes-only cook into a confidently-winging-it cook. It’s kind of foolproof that way. 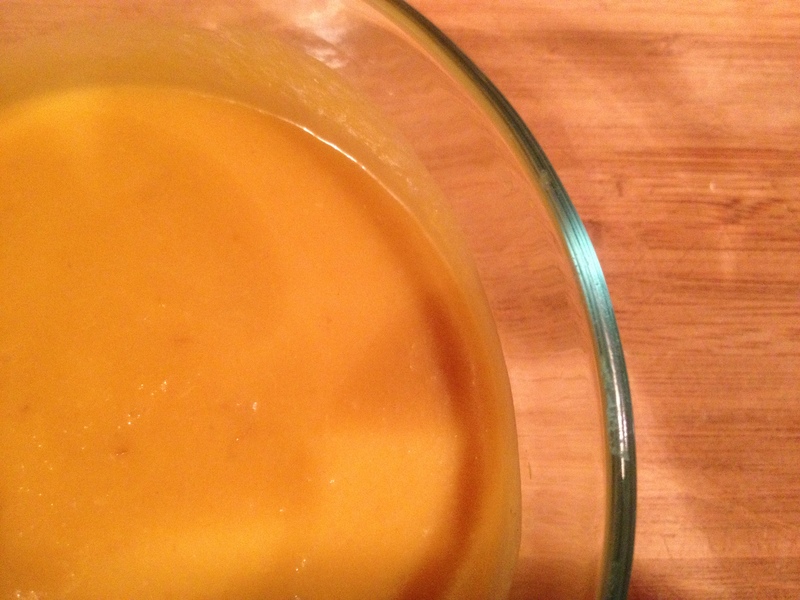 Roasted Maple Squash Soup: Roast a winter squash. Any winter squash. Roast a few, while you’re at it. Cut each in half, rub the cut sides with oil, bake face down on a rimmed sheet at 400 degrees until soft. (Scoop out the seeds and save them in your freezer to make vegetable broth.) Scoop the roasted flesh into a soup pot. (Put the peel in the freezer with your seeds. Mmm, homemade veggie broth. That will be another post.) Cover your squash with broth, maybe one that you’ve made yourself. (Come to think of it, you could make a quick broth now with those seeds and peels: cover with water and add 3/4 tsp. salt per quart of water and maybe a chopped onion or some herbs, simmer 30 minutes and strain.) So: roasted squash, broth, salt and maple syrup to taste. Simmer, mash or puree the squash, adjust the seasonings. Maybe that’s it. Maybe you’re feeling indulgent? Try a splash of cream or coconut milk. Make sure you make some extra soup for the freezer. This entry was posted in Soups, Vegan or Would-Be-Just-As-Good-Vegan and tagged cooking, food, lifestyle, recipes, soup, vegan, vegetarian on February 19, 2012 by emmycooks. My husband loves squash. I’ll have to make this for him! I just love simple soups like this one. Squash and maple syrup, I’m a fan! Love it. Creamed soups are so delicious and so easy to master. And the hit of coconut milk is such a great suggestion! how wonderfully simple! I love squash in soups…. Never heard of or tasted maple syrup in squash/pumpkin soup, perhaps I’ll give that a try. I’ve always discarded pumpkin seeds and never thought of using them for broth. That’s something I’m definitely going to try, thanks for the idea!